Clive Best: Any AGW signal in UK temperature data ? – Nope ! Reposted from Clive Best’s blog. Merry Christmas and a Cool Yule to everyone! 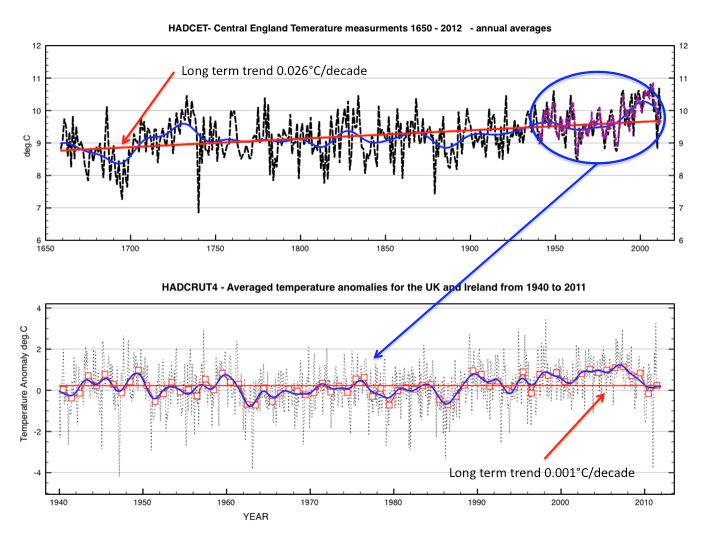 The Central England Temperature data is the longest continuous instrument measurements in the world from 1650 – 2012 . Do they show evidence of Anthropogenic Global Warming (AGW)? 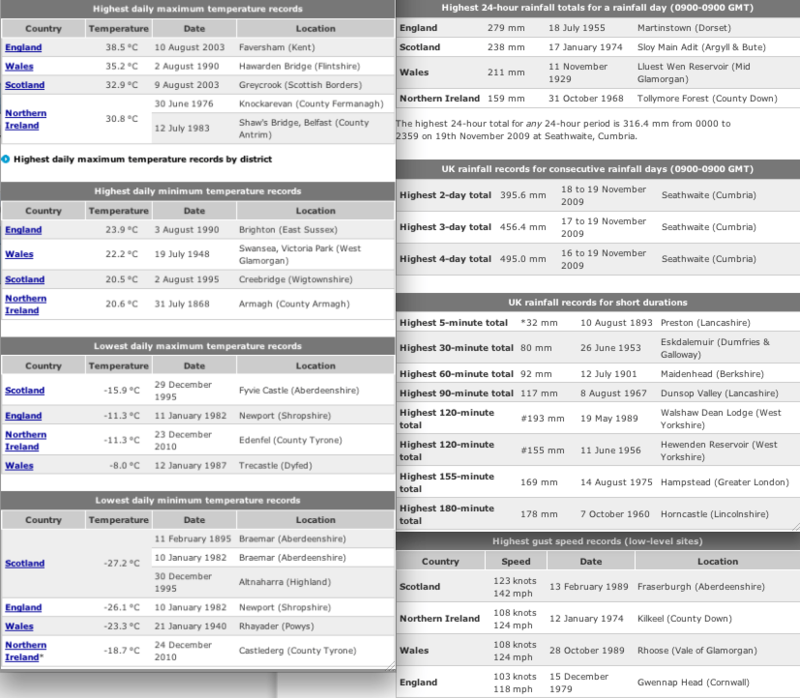 Likewise detailed UK station temperature measurements since 1940 are available through Hadcrut4 dataset. Do these show recent enhanced temperature rises due ever increasing CO2 levels? The answer to both questions is a definitive nope! There is no AGW signal present in either dataset – see figure 1. Am I not alone in being exasperated by Politicians and the BBC blaming the recent floods on the AGW bogey man? I can understand why politicians do it as they can shift the blame for their planning failures but for the BBC to say the worst in 50 years and then not to acknowledge that it was worse 50 years ago beggars belief. It’s difficult to tell what the last point is on Clive’s graph but, looking at the monthly data, 2012 is heading for a yearly average of about 9.75C (assuming an average December). This will place it the second coldest (behind 2010) in the last 14 years, and a mere 0.9C above the original temperature in 1659 and tied with 1661…! However, it should be pointed out that, since 1974, the data has been manipulated to “adjusted to allow for urban warming”, according to the Met Office. No temperature profile is of any value to the warmists earlier than perhaps 1965. They use 1880, but even that is not in their legitimate world-view as the A-CO2 was not high enough to initiate the temperature rise their physics says it should. Any anti-warmist data has to use post-1965 data. Only observations post-65 are pertinent to the CAGW story and only observations that differ from the CAGW story post-65 are pertinent to falsifying the CAGW story. Skeptics use history because we see the present as a continuation of the past with minor variations due to the specifics of the moment. Warmists see the present as special, as following a story arc that is different from the past even if elements of the present can be found in the past. The minor variations of “before” are not relevant to the progressive change of the present. Historical context is just that, historical. All revolutions see themselves as having the seeds of what has never gone before, and in the specific stew of the moment, this is true. This is the basis of CAGW. AR5 shows, so far, that the prior 24 years have been like the bottom end of the IPCC scenarios. At some point observations must narrow the scenarios: the likely outcome, obviously, reduces to only one outcome once it has arrived. At this point the 95% certainty looks most like Hansen’s Scenario “C”, as far as I can tell, the one where no CO2 was added after Y2K. This is the direction our efforts should be, forcing the warmist to moderate his range of outcomes to match observation regardless of the algorithms of the model that gets him there. If the AR5 warmist says that CAGW isn’t happening because of Chinese aerosols, let him say so. Now he has to make a more specific and more easily disproved assertion based on Chinese pollution. Plus he is then in a pickle trying to convince us to convince China to clean up their power plants, because by doing so he will bring on the disaster he wishes to avoid. Of course the aerosol “saviour” is also wrong, but now he is hung on his own petard when the pollution angle falls apart: he really doesn’t understand what is going on. But appeals to early days really aren’t useful. Interesting, though, and informative about what is really going on. That is the problem for the wamrists: the more they shriek, the more people become very, very knowledgeable about the ways of the world (and politics). And if there is one thing the revolutionary doesn’t want, is an insightful crowd. An interesting and fair comment. I agree to much of it except that it really does put the ‘warmist’ ethos in the “I want to eat my cake and have it…” because they keep contradicting themselves. The IPCC actually stated that anthropogenic emissions started in 1750 and they base most of their ‘proofs’ on data from 1850. But I have had warmists and luke-warmists categorically state that the 1975-1998 warming was definitely down to CO2 but the 1910-1945 warming (of about the same amount) was due to ‘other ‘ factors! Hence – as you say – they tend to argue the CO2 case from 1960-ish onwards. Trouble is, they then try to pretend that the post 1998 non-warming is down to ‘other’ factors. Maybe the same ones, maybe not. So, in effect, they have managed – quite brilliantly (not) – to condense the cAGW debate to a period of about 25-40 years. Great last paragraph, by the way! So why is the MetO UK yearly data so different to the “all Hadcrut4 UK/Ireland” graph above? That is from climate4you which, in my view, is the most balanced and factual website around for well-presented data (but no interactive discussion) and actually links to Clive’s website. I suspect your linked graph is not based on hadley observation per se. The difference between it and Clive’s hadcrut4 could be down to the difference between a UK average and the CET data specifically. I can’t answer in more detail, sorry, it’s a minefield! I also suspect some difference may be explained by the processing changes between HadCRUt3 and HadCRUt4. Not sure. I hope this helps, and kudos to Clive on his work and website. Yes the dataset I used is indeed http://hadobs.metoffice.com/hadcet/cetml1659on.dat. The graph is exactly the same as that in climate4you run by Ole Humlum, only that it has been extended to 2012. The Met office are desperate to convince us that the temperatures really are rising but they are on slippery ground. Their figure here at http://www.metoffice.gov.uk/hadobs/hadcet/ is an example of selecting data to fit a narrative. It starts at 1760 so as to avoid the warm oscillation from 1700 to 1760. It also hides the slow linear rise in temperatures since the little Ice Age. 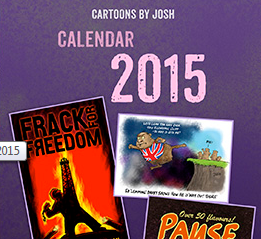 Why is it so important to the government that temperatures are seen to continue to rise ? The real reason goes back to the 2008 climate change Act. It was passed almost unanimously in the heady days of cheap money and the credit boom. Ed Miliband was then Energy Secretary and David Cameron was keen also to line up in support as well to display new Tory green credentials – a bit like how now they are promoting gay marriage. They think it will win votes. The real problem was that the instant gratification they got from this meant that the 2008 Act passed legally binding targets for UK CO2 emissions, all to be funded by us. Only 3 MPs voted against ! Neither Ed Miliband or David Cameron will ever admit now that they were misguided. The reality is that If the UK were to shut down tomorrow and switch all the lights off, It would not make the slightest difference to either CO2 levels or to the Earth’s climate. China increased emissions in 2006 by more than 100% of all UK’s emissions. So what is it all about ? The act has allowed some well-meaning groups but also some cynical financiers to start milking public money. We the public need to understand that we must all do our bit to “tackle climate change”. There is a powerful and influential lobby relying on continually rising temperatures, ranging from rich landowners to NGOs, from Universities to Energy companies, and media interests to Oil companies. We can only hope that the Met Office retains its scientific credibility by publishing correct temperature data, so that eventually the penny will drop that we can stop this nonsense. There is no monster hiding behind the curtain ! CAGW is a bit like the Bird Flu scare but cunningly slowed down to guarantee continuous funding over the careers of those involved. It is based on observations. There is not much difference between CET and the UK average. CET shows a strong rise from 1940 to present. Hi Rog, have you compared annual sunshine hours and annual temperature for Scotland, Wales and N. Ireland? No, how does it look? Similar rises in temperatures as England but around half (or less) in the rise in sunshine hours. This implies circulation changes are a big factor. OK the rise in England is more than the other regions, but the sunshine hours/temp relationship is not entirely proportional by region. Ulric, I wonder how much of the extra rise in England Sunshine is due to air pollution reduction around northern cities. A breakdown of some rural vs urban sites would be useful. I’m still wondering what could be up with Clive’s Hadcrut4 graph, it’s nothing like CET or the MetO UK values. So, there doesn’t seem to be a discrete anthropogenic signal which correlates CO2 and temperature, even in the last fifty years. This coupled with the fact that CET is about to show a return to (close to) the zero anomaly level, is probably what gives rise to Clive’s zero trend in the lower graph. I’m not sure where Clive got the hadCRUt4 data for that graph. Probably in the Met Office site somewhere! Re your comment @ December 26, 2012 at 3:46 pm re the political aspect. Have it your way. I’m now confused as you are presenting a HadCRUt3 graph for the Northern Hemisphere versus the previously discussed CET (Central England) and the HadCRUt4 for UK/Ireland. The best person to answer you query is Clive; I was just trying to help. Like I said, I don’t know where Clive got his HadCRUT4 data from. To me, the lower graph in Clive’s post doesn’t seem too different (roughly) from the blue-circled region of the upper graph. “To me, the lower graph in Clive’s post doesn’t seem too different (roughly) from the blue-circled region of the upper graph. I think that it was Piers Corbyn who first alerted me to the idea that the postion of the jetstream had a big influence on the UK weather ,he said that the Met. Office were allways getting the position of the jetstream wrong in their forecasts. – First I identified all the station files within Hadcrut4 which have latitude and longitude within the range covering UK and Ireland. I am travelling at the moment so can’t check – but I think there are about 30 such stations. I then used the CRU area weighted average to combine them into a single monthly average. The annual averages match well CET data if the anomalies are scaled by 9.5 C. So the data are not the exactly same as any other set. If your problem is with the linear trend, than I agree that the CET does not have a zero trend. I was, however, referring to the shape of the graph. The high and low points on the lower graph are similar – no more than that – to the CET graph and, more importantly, to the CET data. I am not suggesting there is a perfect match, just that the shape is similar. But you’ve made your point on the trend, so I’ll leave this one for Clive. so this whole post is erroneous and a waste of time. 1) There demonstrates to my eyes that there are 30-60 year apparent variations in temperature data. We are currently in a negative trend. 2) 1990 – 2010 temperatures are about 0.5 degrees warmer than from 1950-1980. 3) Similar variations of the same magnitude have occurred in the past – for example 1700-1750. 4) There is an underlying linear increase in temperatures of ~ 0.026C/decade since 1650 until today. The cause is unknown but could be a recovery from the LIA or some other effect – e.g. Man. This shows the detail since 1940 ! OK your graph (id=4447) is safe. I think the period that is most contrary to the rise in co2, is from the mid 1940’s to the mid 1980’s.